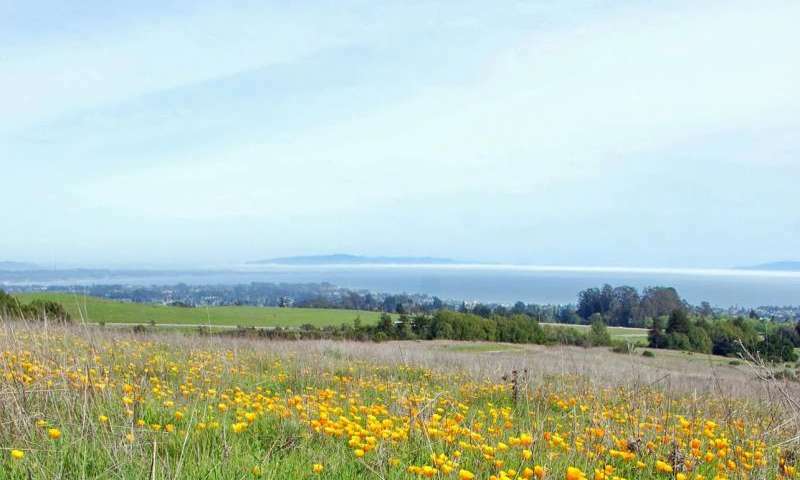 A study of disease dynamics in a California grassland has revealed fundamental principles underlying the spread of pathogens among species, with broad implications for the maintenance of biodiversity and for addressing practical problems related to plant diseases. 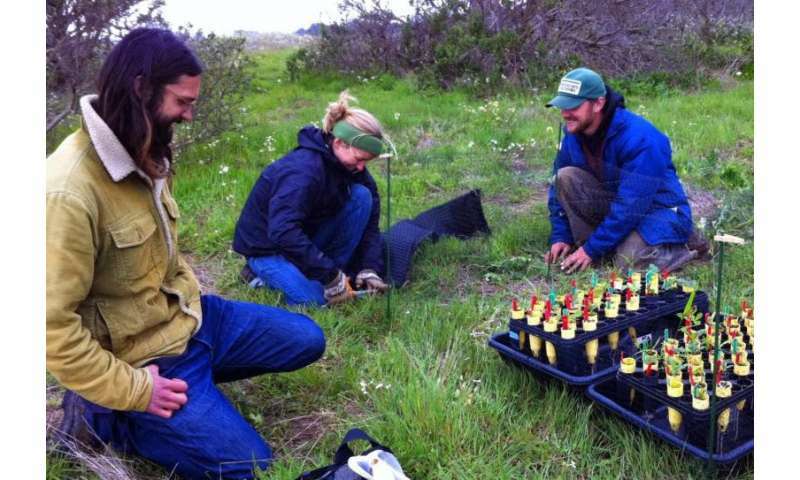 Researchers at the University of California, Santa Cruz, measured the amount of disease on the leaves of plants in a meadow on the UC Santa Cruz campus. They found that the amount of disease on each species depended on how common it was, as well as on the abundance of its close relatives. The results, published April 23 in Nature, revealed a tight link between the structure of a plant community and the vulnerability of individual species to disease. In addition, when the researchers introduced novel plant species into the grassland, they were able to predict which ones would be most strongly affected by naturally occurring diseases. Ingrid Parker, professor of ecology and evolutionary biology at UC Santa Cruz and first author of the paper, said the study adds an important new dimension to a longstanding concept in ecology known as the "rare species advantage." Diseases often take a greater toll on the most common species because pathogens spread more quickly when there are many susceptible individuals close together. This promotes biodiversity by creating openings for less common species that are not attacked by the same pathogens. "The rare species advantage is thought to be a major driver of biodiversity in natural ecosystems," Parker said. "Our study shows that it's not just how common a species is, but also the structure of the whole community around it that affects its vulnerability to disease. Most pathogens are not host specialists—they can move from one species to another, and whether pathogens 'spill over' depends on how closely related the other species are." 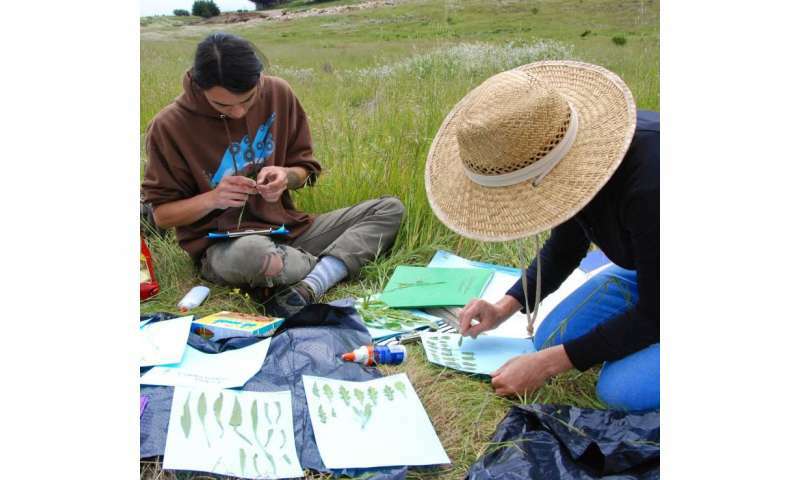 After studying disease pressure on the naturally occurring species in the grassland, the researchers then introduced 44 novel plant species from outside of California. (These plants were removed before they reproduced.) They found that species with few close relatives in the grassland escaped disease, while those closely related to many resident species always showed high levels of disease. The researchers were able to make surprisingly accurate predictions of disease pressure on novel species based on their "phylogenetic" or evolutionary distance from the local species. "It was kind of shocking how well we were able to predict disease pressure at a local scale," Parker said. To incorporate the phylogenetic distance between species into their predictions of disease dynamics, the researchers used a "PhyloSusceptibility model" developed by Gregory Gilbert, professor of environmental studies at UC Santa Cruz, and two other coauthors, Roger Magarey and Karl Suiter of North Carolina State University, who work with the U.S. Department of Agriculture's Animal and Plant Health Inspection Service (APHIS). The model is based on the USDA's global database of fungal pathogens and host plants and can be used to predict the probability of two species sharing a pathogen. "APHIS is interested in this because they're concerned with identifying risks from introduced pathogens," Gilbert said. "If a plant pathogen from Brazil suddenly shows up in southern California, you want to know what plants in California are most likely to be attacked." By showing that the PhyloSusceptibility model makes accurate predictions, the study suggests a wide range of potential applications. "It's a predictive tool that's flexible and useful when you don't have lots of other data at hand," Gilbert said. "Ideally, you'd like to have empirical data on host ranges, but that's very rarely available." The PhyloSusceptibility model could help avoid disease problems affecting proposed horticultural imports or reforestation projects. It could also be used in agriculture to design intercropping or rotation systems that could decrease crop disease compared to monocultures. Imported plants can also bring novel pathogens and pests into an area, and the PhyloSusceptibility model could be used to assess the vulnerability of local species to pathogen spillover from proposed plant introductions. According to Parker, the findings also help explain why some introduced plants become invasive weeds while others do not. A common explanation for invasive species is the absence of natural enemies in their new environment. In earlier studies, however, Parker and Gilbert found that introduced species can be attacked by many of the same pathogens as native species. The new study shows why the presence of closely related species makes it less likely an introduced species will escape from natural enemies. The PhyloSusceptibility model could help predict the future distributions of invasive species, Parker said. While the PhyloSusceptibility model used in this study was based on data for fungal pathogens, Gilbert said the team has also created versions based on data for eight other groups of pests and pathogens, including insects, nematodes, bacteria, and viruses. "They vary a bit, but the influence of phylogenetic distance on pathogen sharing is similar for all groups," he said.